Earlier this month the CD celebrated a significant birthday – it’s been 30 years this October since the compact disc was introduced to the world in 1982. 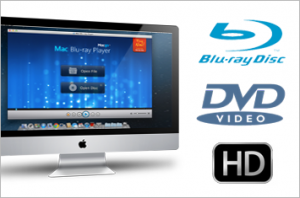 The CD has become such a ubiquitous piece of technology that anyone 25 or younger probably couldn’t even imagine a world without it. These pre-quarter centurions may have heard parents tell fond tales of record players and listened to them wax nostalgic about the satisfaction of running down to the local record store after school to pick up their favorite rock star’s new vinyl. And even though vinyl lovers will always prefer that medium of music, the CD brought with it unparalleled new advances for music lovers everywhere. 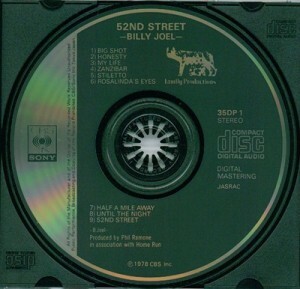 On October 1, 1982 Billy Joel released the first ever digital compact disc for his sixth studio album, 52nd Street, in Japan, along with the first ever Sony CD player, and history was made. Whatever you think of Billy Joel, this album changed the way people listened to music forever. No longer did you have to get up every few songs to switch the vinyl over, instead, you could listen to an album all the way through; no longer did artists have to limit their song lengths to fit on one side of a disc, now they could enjoy the freedom of producing 10 minute long masterpieces; no longer did the audio quality crackle, for this new digital sound was clear and crisp. At first, music CDs were quite expensive, retailing for around $15, or $35 in today’s dollars, and CD players were a whopping $730, or in today’s terms, $1,750. No wonder CD manufacturers first targeted classic music lovers and serious audiophiles – the general public wasn’t about the drop that much money to replace an already established vinyl collection. Slowly but surely, however, CDs became prolific. Today, vinyl sales are making an astonishing comeback and mp3 digital downloads are quickly becoming the norm, but CDs are still the primary form of music listening for most people. Just like how today’s Gen X parents’ won’t ever fully forget the pleasure of vinyl, something similar occurs with CDs, despite the increasingly virtual nature of society. As people move more and more toward virtual identities and digital data storage, there is still an innately human instinct to want to physically hold a beloved object in their hands, a need to feel that the music they love is tangible and real. For this reason, CDs are unlikely to disappear completely, and like vinyl, might even gain prestige the longer they can stick around. 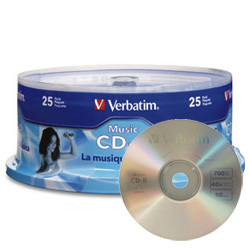 Happy birthday, compact disc. We’ve enjoyed having you and look forward to another great 30 years.